Make Direct Energy your Chicago electric and natural gas company and trusted home services provider for electricity, plumbing, electrical, and HVAC services. You're a smart energy consumer, so you want an Chicago energy company that speaks your language. When you choose Direct Energy, you'll enjoy innovative plans for your Chicago electric and natural gas needs - complete with options for green energy, engaging technology, and more. You have the power to choose a Chicago electricity or natural gas plan that fits your family's needs. We have long and short-term plans, flexible billing options and special offers so you can find a plan that's perfect for your home. Your home is your most valued investment. 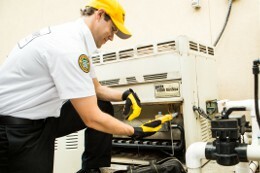 When it's time for maintenance or repairs, you need knowledgeable and experienced professionals. We've assembled a team of highly-trained home services experts in Chicago to maintain your plumbing, wiring, a/c repair and more. 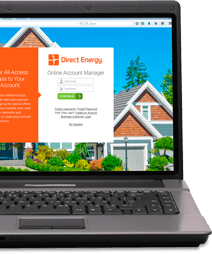 Managing your energy account information is easier than ever before with our Online Account Manager. You'll have access key information about your usage, billing, and more! What exactly is Dual Fuel? 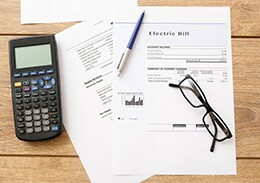 It's everything you wanted for your utility bills. See all your charges each month on one bill to make paying those bills and tracking your usage easier than ever. Every year, we commit to support and recognize the people and organizations making a positive impact in their communities through our Volunteer Citizen of the Year Award. Through this award and our Reduce Your Use grants for nonprofit organizations, we hope to empower our communities to continue to strive for social change. You've got energy options! And we're proud to be one of them. Thanks to deregulation in Chicago, you're able to shop around for the perfect natural gas and electricity plans for you, instead of being limited to only your utility company. 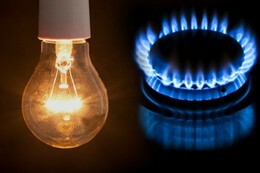 Check out Direct Energy's variety of plans to find the right one for your home and budget! We're honored to service the homes of the men and women in our military communities. With Direct Energy's Military Savings plans, you'll enjoy an exclusive discount on electricity service for your home, as well as rewards every 6 months just for being a customer.